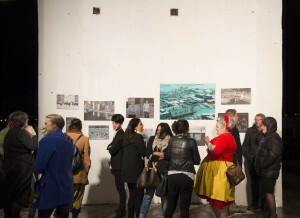 A couple of weeks ago, we had an exhibition open in Silo 7 ( at Silo Park) for the ‘Waters Edge’ project. The exhibition was an opportunity for Unitec photography students to document the Waterfront Area, around Silo Park and Wynyard Quarter. 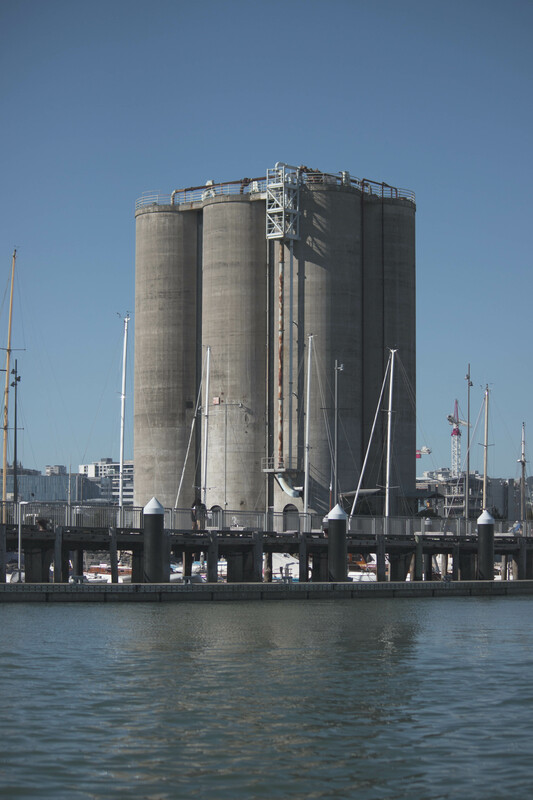 This was commissioned by Waterfront Auckland, who work with Unitec Students each year to create a collection of images of the way things are changing at the waterfront, particularly now that there are significant plans in place for development of the area. I had three pieces in the show, looking at Wynyard Quarter from the water. 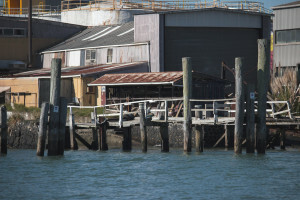 I was lucky enough to spend an afternoon on my in-law’s launch, photographing from the water, and what really stood out for me was the difference between the polished-looking street frontages of these workshops, and what can only be described as ‘junk wharves’, that can only be seen by the boats passing. 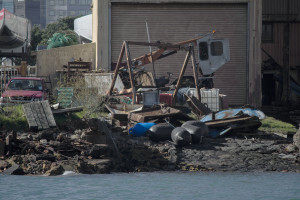 This really suprised me, given that the majority of the customer base for these workshops are million-dollar boats, coming towards them from the water, rather than foot traffic at street level. There are 13 student photographers represented in the show, so if you have the opportunity to head down and check it out, I’d highly recommend it!